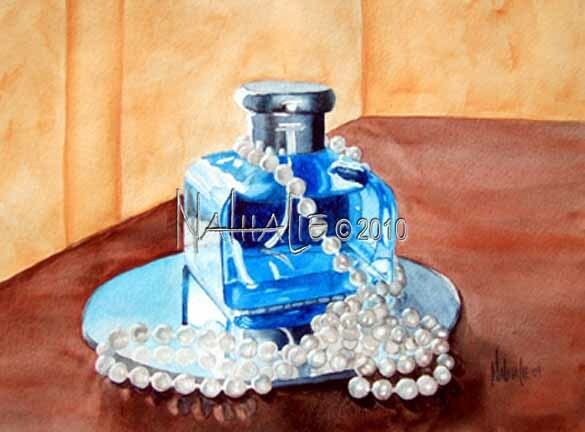 I simply love glass, pearls, and reflections. This was perfect. We spent a couple of nights at a friend's house and this was on her dresser. The morning sun was streaming through the windows making just an awesome image. Had to paint it!